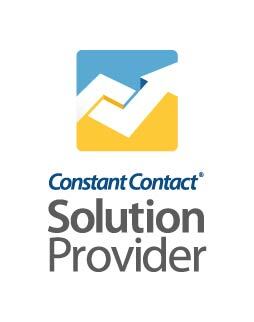 DSI has partnered with Constant Contact—the leader in Small Business Marketing to help you bring all of your marketing efforts together to grow your business. Constant Contact is powerful email marketing made easy. Constant Contact is your trusted partner in email and online marketing with the easy-to-use tools and the know-how to help you get the best results for your business. Our professional-looking templates and true drag-and-drop editor makes creating the perfect newsletter simple and less time-consuming. Our tools and packages are designed to grow with you too, so not only do you get the sign-up tools to grow your contact lists and get more customers, but you also get the tools to increase engagement with your emails, extend your reach through social media, automate emails, integrate with other tools and more. Plus, if you get stuck or need advice, we offer the best coaching, support and know-how by phone, chat, and in neighborhoods across the U.S. and Canada. Whether you’re looking to engage your customers, build your audience, drive sales or donations, or increase your overall brand awareness, We have the online marketing expertise to help you succeed. Constant Contact is your single source for the marketing campaigns, contact management, and list growth tools you need in order to engage your audience. DSI offers a wide range services for your small business. Yes, we do firewalls, networks, servers, workstations and printers. We also design and maintain Sql Databases - Local, Remote or in the Cloud.